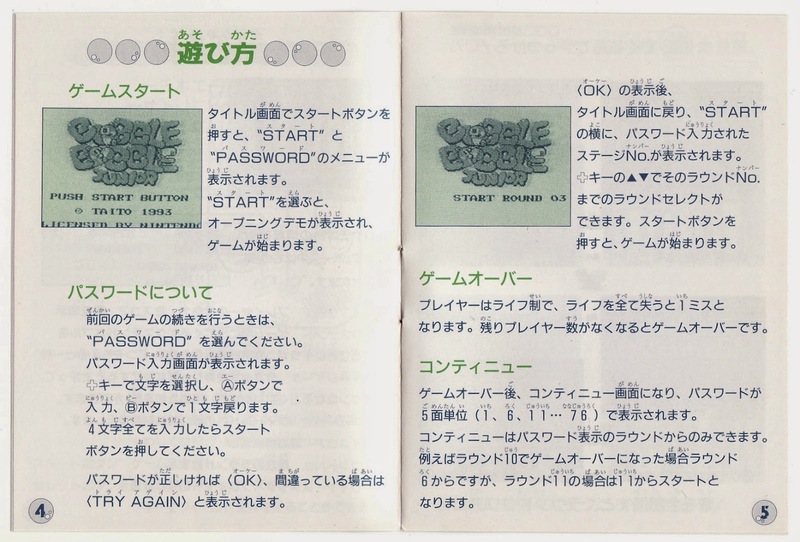 Last week, I published a "Manual Stimulation" post that focused on this game's predecessor. 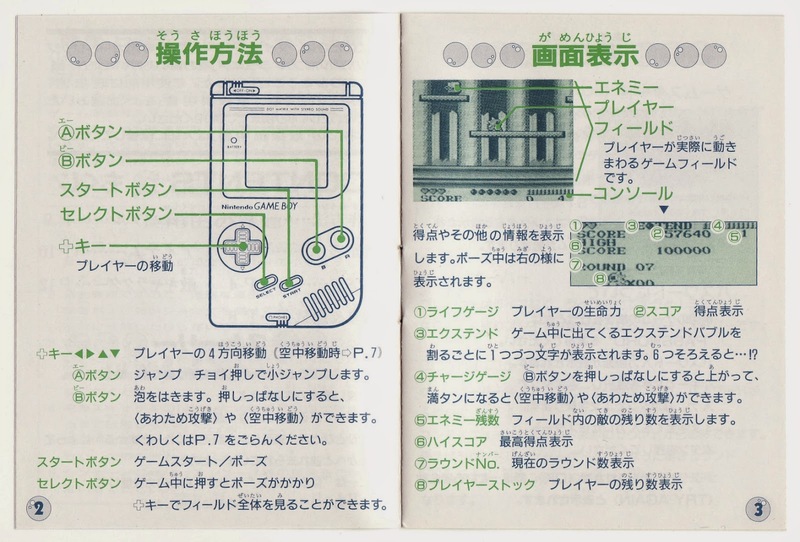 Would you believe I prefer that manual to this one? I ask because that's pretty much the only thing related to the first Bubble Bobble GameBoy title that I prefer to its sequel. 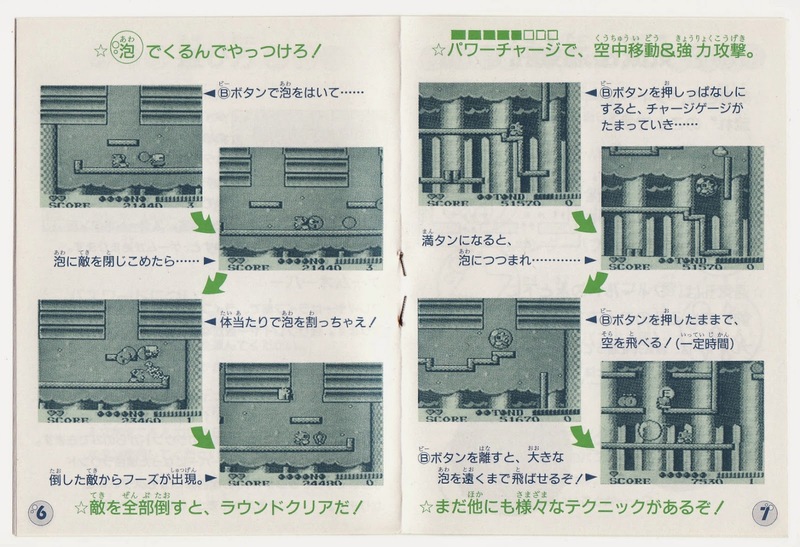 That's not to say Bubble Bobble Junior's manual is a total stinker. On the contrary, some of it is rather nice--with the cover (above) being a prime example. 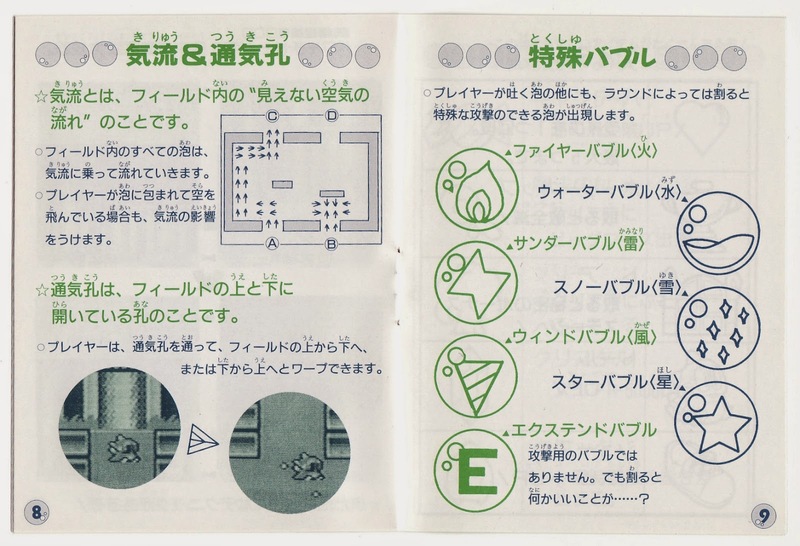 Unfortunately, it doesn't take this manual's designers long to pass up some golden opportunities. 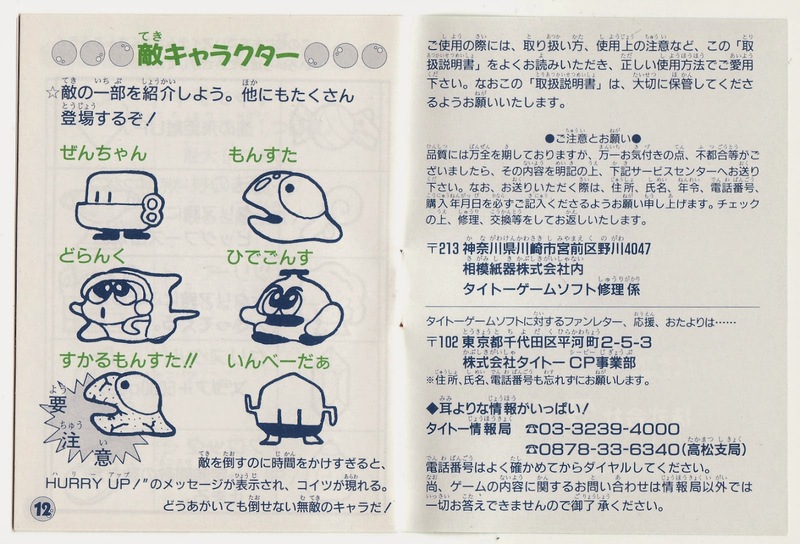 The right-hand page above is a case in point, with Bubble Bobble Junior's backstory being relegated to a third of a page of text. Would it have killed someone to come up with a few doodles to accompany it? 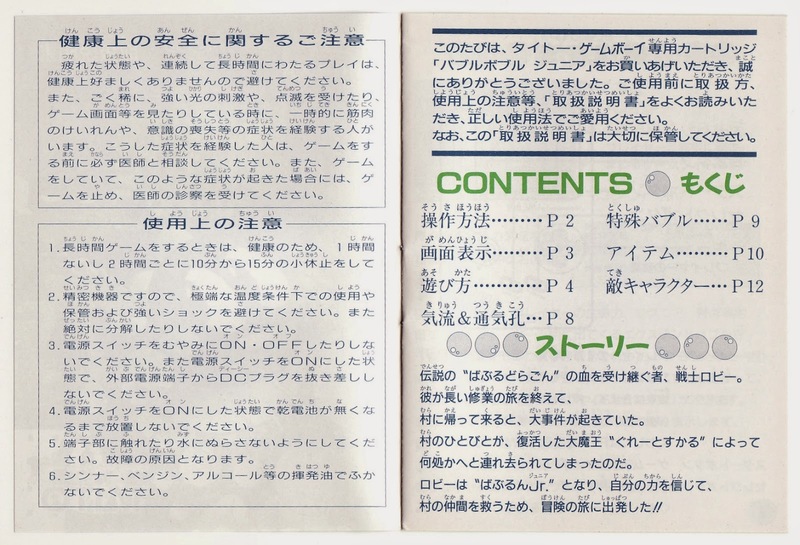 The next few pages aren't much more appealing, I'm afraid, as the high point (if it can even be called that) of this section of the manual is two shots of the game's title screen. At least the next few pages showcase a few photos of the game in action, although I doubt anyone would describe them as thrilling. Now we're getting somewhere! Kind of. I think. Oh, well, at least we get to look at an adorable illustration of Bub (or Bob) on the left-hand page below. 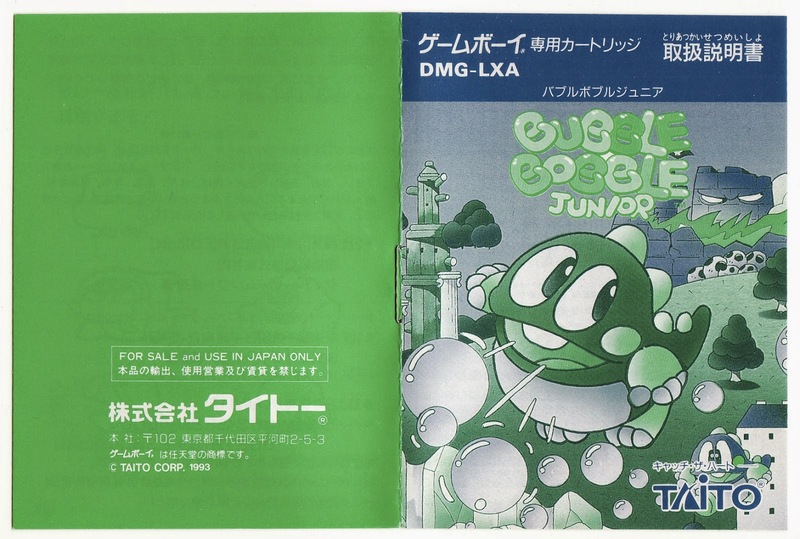 Just like the manual produced for this game's predecessor, Bubble Bobble Junior's saves its best pages for last. I'm just curious about one thing. 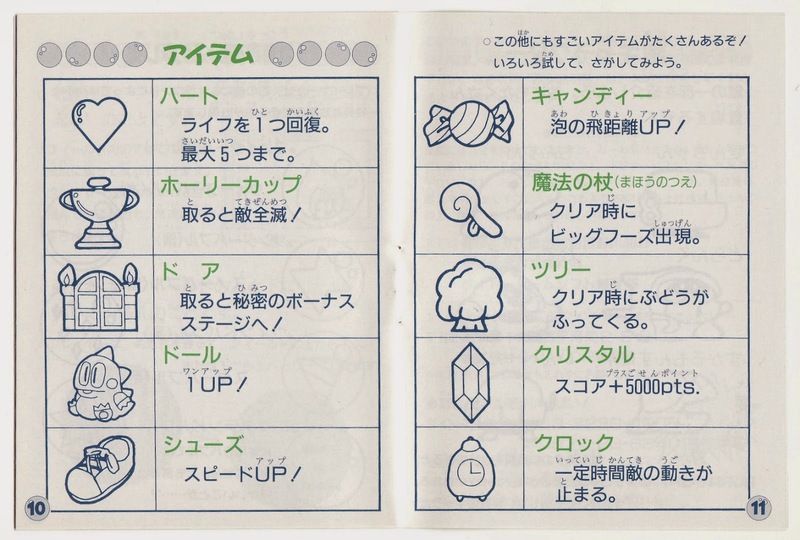 What do the extra bubble powerups do? I see fire, lightning, and water from the original. What the heckarooney are the others? Yep! A lost opportunity on Taito's part, if you ask me.